For the past 30 years since my father decided to take his own life I have been searching to understand why he made that choice. What had caused him so much pain that he would destroy his own existence and deeply damage the lives of everyone who loved him in the process? With information I received from a psychiatrist who specializes in treating war-related trauma in members of the military I concluded that Dad had been carrying hidden pain from his experiences during World War II that he had never been able to resolve. 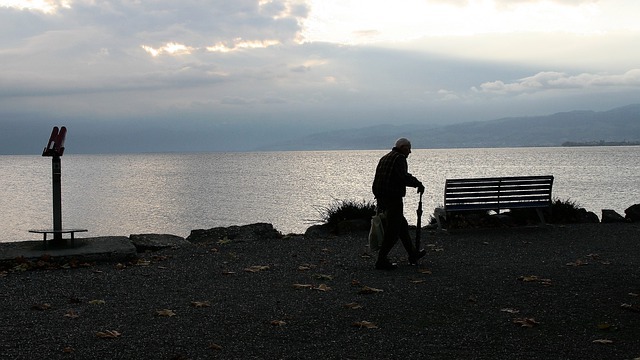 I realized that in order for me to heal my own grief over Dad’s death I needed to conduct a pilgrimage to explore more closely the pain of war that haunted him. On my journey I discovered lingering echoes of the devastation and suffering created by the war. But I also found people eager to share the stories of heroism and honor that had taken place on their soil and I found a connection with my father I had never before experienced. Ultimately my pilgrimage helped me understand the deep wound he had been carrying that undoubtedly contributed to his death. 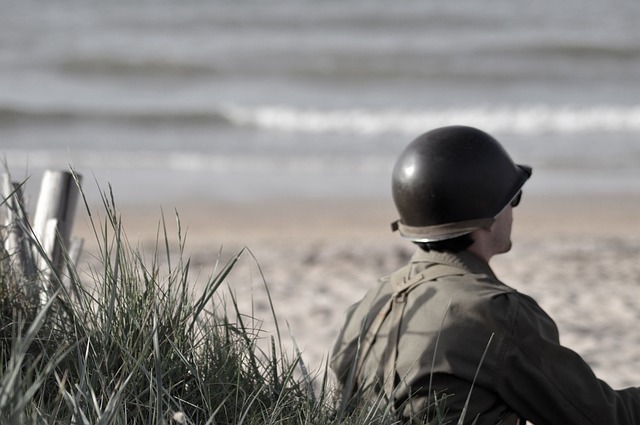 Gather information wherever you can: from old letters and photos, the memories of those who knew your loved one during their time of service, historical information about the war itself, and military records available online from the National Archives. Use this information to help you decide which sites are the most important for a visit so that you can keep your itinerary manageable. I spent several months doing research before I began my travels. I knew that Dad had spent at least part of the war in Iceland, England, and France but I had no further details. After finding Dad’s uniform I was able to determine which division he served in and I also utilized conversations with relatives, and multiple online sources to piece together enough information to get me started. I was surprised to learn for the first time that Dad had been part of the Normandy invasion so one focus of my pilgrimage became a visit to Omaha Beach. Plan to tour a war memorial museum as part of your pilgrimage if there is one available to you. You will have a chance to learn the overall scope of the war and to take in details that you may not have known. Also you may see a picture of the war from the perspective of another country, which can also be useful as you begin absorb the immensity of war and its impact on everyone it touches. Learn about some of the WWII museums in Europe here. 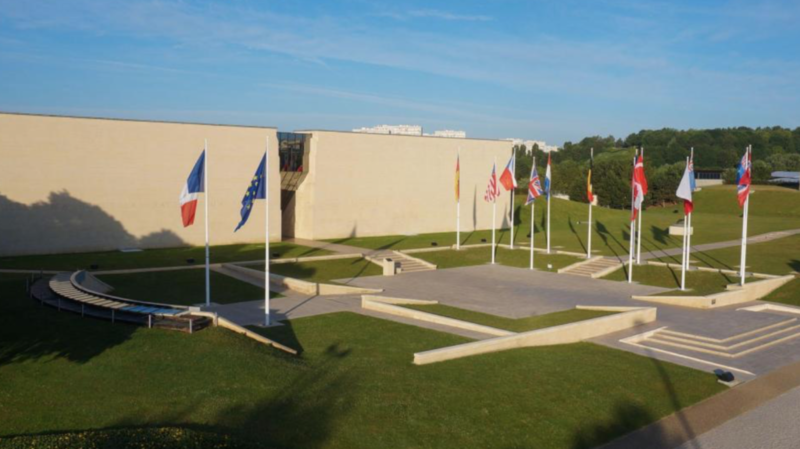 My pilgrimage included the Mémorial de Caen Museum, in the city of Caen, where I learned the history of the build up to the war starting with World War I. Through the informative exhibits there I learned about significant events on both sides of the conflict that contributed to the start of the war, the impact of the war on the people of France, and the importance of D-Day to the entire European theatre. 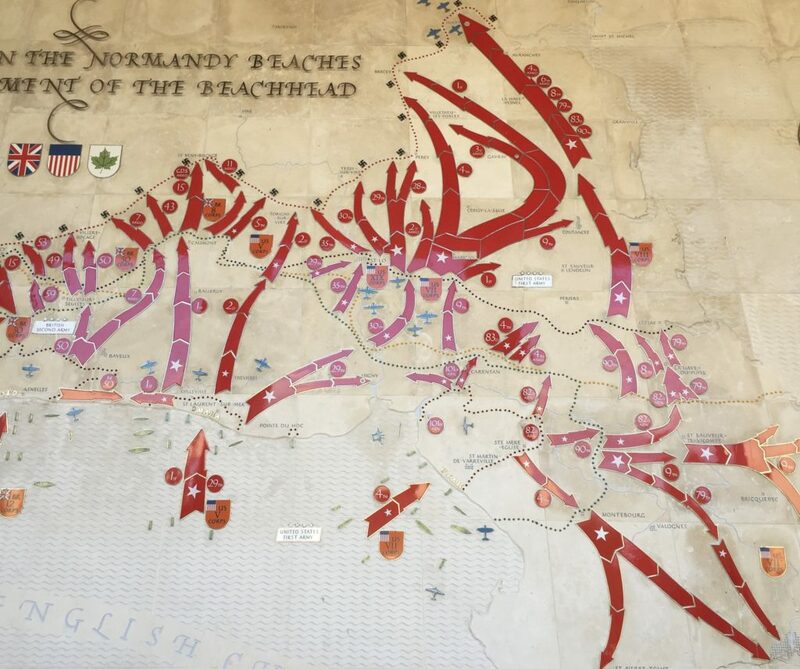 I also came away with a much better picture of the timeline for the war and recognized that my father’s training in England had been part of the preparation for the Normandy invasion. On your pilgrimage consider utilizing the services of a guide trained to offer tours through the region. You are likely to discover sites and hear stories that you might have missed otherwise and a guide can help you get the most from your visit for the time you have available. When choosing a guide make sure they speak your language fluently, have been trained in the history of the war, and specifically focus on the sites you want to see. 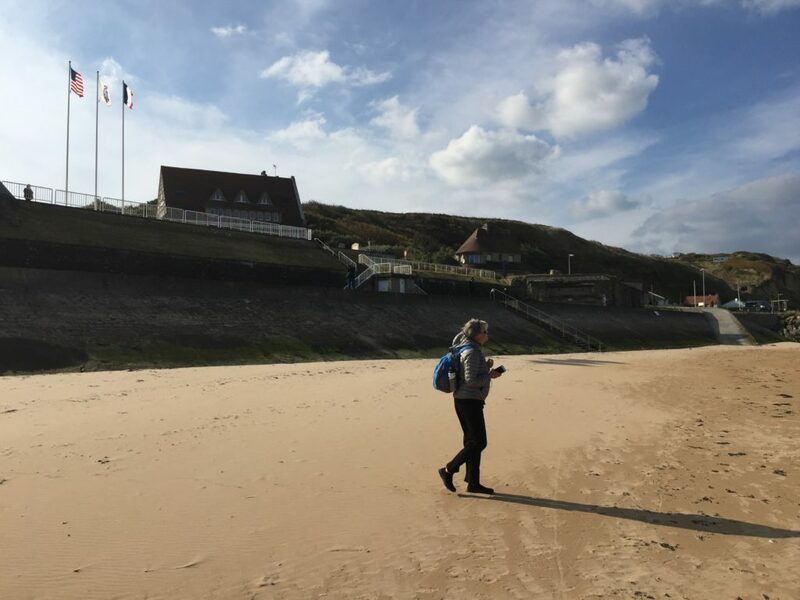 I knew from my research that my father’s division had landed at Omaha Beach so I booked a guide who would take me there and to other significant sites in the area. She found out the date his division landed, which was five days after D-Day, and she showed me a map that traced the route his division followed after surviving the landing. We discovered from the map that Dad would have been involved in the Battle of Saint-Lô, which serendipitously turned out to be the town where she grew up. On your pilgrimage spend time talking with the locals in the area who have their own recollection of the war or can share stories that have been passed down from older generations. As you hear about the suffering endured in their lives you will begin to see how we are all connected in our grief, particularly after a brutal war for freedom. We do not mourn alone but our pain is shared with others all over the world. The fact that my guide’s family had lived in Saint-Lo during the war and my father was part of the battle that took place there helped create a bond between us. 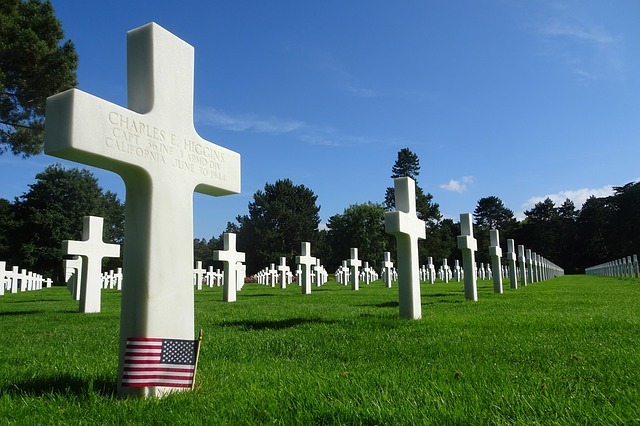 Though she hadn’t been born yet during the war she had been told many stories of the bravery of the American soldiers who fought to free France and she immediately expressed her gratitude for my father’s service. At that moment I knew I was on the right track and my pilgrimage was leading me exactly where I needed to go. Intense emotions can arise during a visit to a war memorial site so make sure you budget plenty of time for contemplation and recovery. Don’t rush through the experience but stop to let the stories and images sink in. 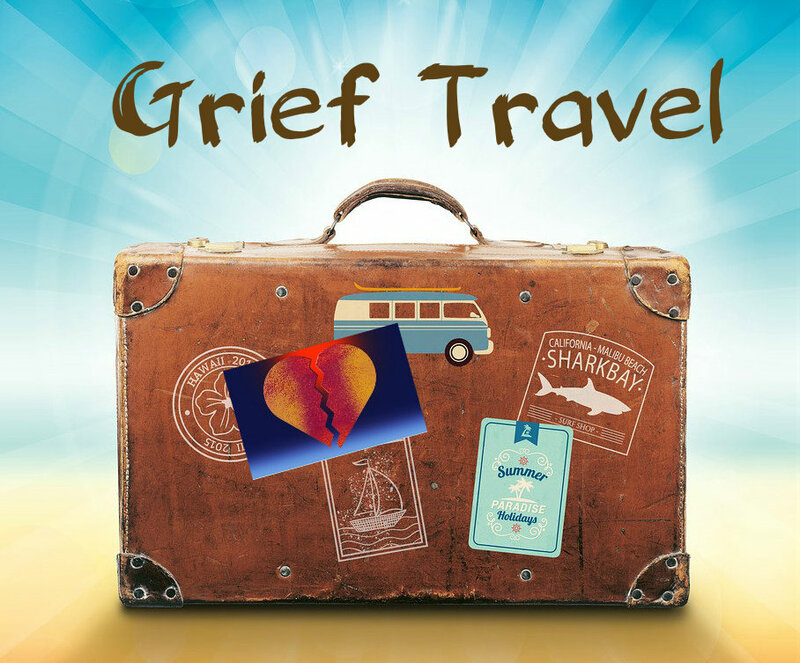 Allow your grief to surface because that is an important part of the healing process that occurs during a pilgrimage. I spent time alone walking Omaha Beach, which was empty and quiet that day, just imagining what took place there on D-Day and also thinking about my father’s state of mind on the day he landed there. Did he know about the massive loss of life that had occurred just a few days before? 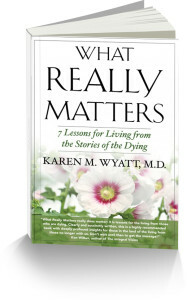 Rituals can provide powerful opportunities for healing and release during a grief pilgrimage. Plan ahead to create your own ritual as you visit a war memorial site. You might also discover a scheduled ceremony or event you can take part in as part of your journey if you do your research in advance. During my pilgrimage I visited the American Cemetery at Normandy where more than 9,000 American soldiers are buried. I saw the headstones of many men from my father’s division and wondered if he had known any of them. The burden of grief carried by soldiers who survived the war became evident to me as I strolled through those peaceful burial grounds and contemplated the enormity of the losses of World War II. Near the end of my late afternoon visit I had the opportunity to witness the flag lowering ceremony and the playing of Taps, which brought me to tears as I finally understood my father’s unspoken pain from this war. If you decide to go on a pilgrimage to heal the grief from war be sure to plan ahead to make sure you get the most out of the experience, but also allow for spontaneity so that the unexpected can occur. May your travels bring you awareness and understanding so that you might find peace and comfort on the rest of your grief journey.